Keep It Classy Car Wash won the 2015 Galion Youth Baseball Major League regular season championship. The team finished with a 13-0 record. Team members are Caden Armstrong, Cameron Click, Doga Doucoure, Tyler Frazier, Braylen Hart, Hudson Miller, Owen Mullins, Rece Payne, Jackson Staton and Brody Symsick. The head coach is Joe Payne. The assistant coach is Steve Hart. 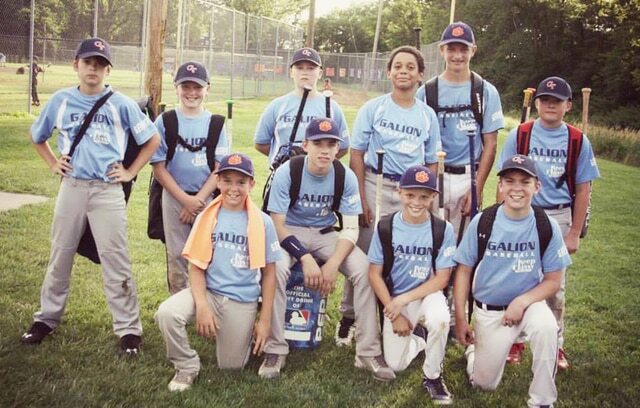 The Keep It Classy Car Wash team won the 2015 Galion Youth Baseball Major League regular season championship. The ballclub posted an undefeated record of 13-0. Joe Payne is the head coach and Steve Hart is the assistant coach. Team members are Caden Armstrong, Cameron Click, Doga Doucoure, Tyler Frazier, Braylen Hart, Hudson Miller, Owen Mullins, Rece Payne, Jackson Staton and Brody Symsick. Several team members will play for GYB teams in the upcoming District 7 All-Star tournaments. Armstrong, Mullins and Symsick were selected to play on the GYB 12U All-Star team which will be competing in the tournament beginning July 7 at Heise Park. Miller, Payne and Staton are members of the GYB 11U All-Star team that will compete in the district tournament at Bellevue. Joe Payne is coaching the 11U All-Stars. Hart is a member of the GYB 10U All-Star team that will play in the tournament beginning July 13 at Shelby.